Aspectos a tener en cuenta en el trabajo que venimos realizando. Avi Sensei lo explica de forma clara y ordenada. Once decision is made, there is no mind in the technique, no hesitation, win or lose one must give everything. When we can apply this concept and give everything, the mind is clear, there is no more judgment, and paradoxically we can become more sensitive, more intuitive, and more aware when we try less. There is another aspect to it, very few of us are able to use our full muscles potential, generally we use only small potential of our musculoskeletal system, because of fear, past traumas, protection of the joints, but hand in hand with the developing the muscles and joints condition, we develop the mental ability not to hold back to apply ourselves fully to one purpose. Take Usain Bolt, the fastest man in the world, it is recorded that in each step he takes the reaction back to his body equals over 1000 LB, that is a lot of force production, if an average person did that, after one 100 m sprint it is likely that his/her joints will be damaged. So how does Mr. Bolt does it and how do we in karate learn to do that? I am not sure how Usain Bolt does it, one aspect is his form, and maybe he intuitively learn how to give himself totally, 100%. I will tell you what is the method we use in karate: Form and sequencing. First, we develop proper form and postural alignment, which allows for smooth transmission of force, and distribution of force through the whole body, not one joint or another. Than, we learn proper sequencing of body segments to accumulate maximum force, but some people have good form and timing yet the still use only small amount of their muscles potential. Stabilization strength: When we stay in stance for a long time, we develop the smaller muscles closer to the joint, those are the muscles that activate first, before the big muscles, to stabilize the joint, while the bigger, outer muscles are responsible for force production (mainly). Those stabilizing muscles are design to work for longer periods, and must have endurance. It shows that when the stabilizing muscles are not functioning optimally the nervous system will not allow for full force production (about 30% less). Our karate ancestors did not know sport science and the latest research but I guess through experience and correct intuition they developed methods of training that allow us to produce big power safely. Body center is intention center. It is very important that we keep our intention in the Tan Den, our body center of energy. our decision and commitment is not in the brain, since there will always be holding back, conflict in our action if it comes from the brain. Our body center is the intention and decision center, every action starts here mentally as well as physically, this concept has a lot of benefits besides being able to commit totally to one purpose. Breathing Our breath from low stomach activates the center and ground reaction, and allows the whole body musculature to cooperate and allows to maximize the recruitment of muscles in shortest time to one purpose (providing breath, muscles action and external action are matching). The breath is also the connection between the mental and the physical, our breath allows us to mentally give every thing so the muscles can follow. 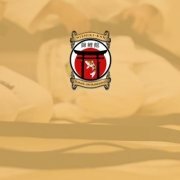 There is no interference of the brain, and that is one reason we say in Budo: “there is no mind in the technique”. 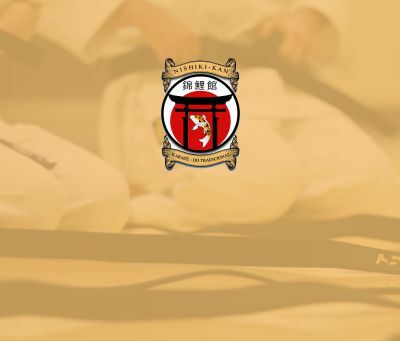 Or as Sensei Nishiyama used to say: “giving all breath is giving all energy” or “Kiai destroys opponent”.